Cathy LaFalce is a Managing Director and Global Head of AML Compliance Risk Management for Citigroup’s “Markets and Banking” businesses. In this role, Cathy leads the Global Citi AML Compliance Risk Management team responsible for identifying, evaluating, mitigating and reporting on AML and reputational risks for these businesses. In her 21-year career with Citi, Cathy has held a number of senior compliance, audit and risk management roles supporting Citibank’s former Global Transaction Services (GTS) businesses, including as AML Compliance Head for GTS North America and GTS Compliance Officer. Cathy also held senior Compliance and AML roles at two other global financial institutions: Barclays Capital, where Cathy was the Global AML Advisory Head for Barclays Corporate and Investment Bank (CIB) and the CIB Americas Financial Crime Compliance Head; and The Bank of New York, where Cathy was Sector Compliance Officer for BNY’s Issuer Services businesses. Cathy has extensive experience building compliance programs and standards at a business and firm-wide level, and has participated in numerous industry forums throughout her career. 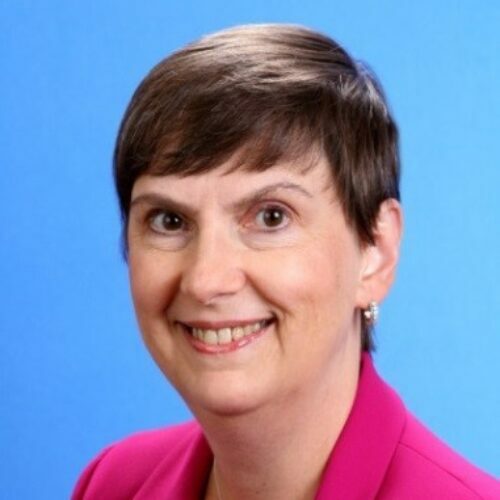 Cathy started her career as an Associate National Bank Examiner for the Office of the Comptroller of the Currency and also was a Senior Auditor at Bankers Trust. She holds a Bachelor of Science in Finance and Economics from Fordham University.